TaxHow has all the forms and eFile solutions that you will ever need for your Vermont State taxes. If you find any form that is missing for your State, let us know and we will make our best to update them immediately. Schedule IN-112 is a supplemental form that should be filed with Form IN-111. 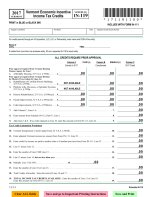 This form allows taxpayers to claim adjustments and credits. This form should be filed by all Vermont residents who work in other states to avoid dual taxation on income they earned in other states. Without filing Schedule IN-112 such income would face dual taxation by both Vermont (the state of residency) and the other state (where the income was earned). Make sure to file Schedule IN-112 if you need to claim any adjustments or credits and attach it to Form IN-111 to complete your Vermont return. Vermont nonresidents and part-year residents must file this form if they have earned an income in the state. Vermont residents must complete and submit Schedule IN-113 if they have earned an income that is exempt from state income tax. 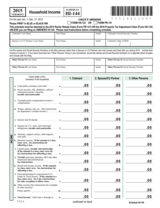 Taxpayers in Vermont file Form IN-111, the long version of the Vermont Individual Income Tax Return, for their income tax return. If you are a part-year resident and want to avoid double taxation from another state, attach Form IN-112 to your Vermont return. 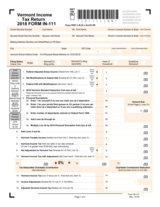 The IN-151 form is used for Vermont residents who seek an extension of the filing deadline for their state income tax returns. Successfully filing the IN-151 automatically allows Vermont residents a six month extension to file their IN-111 state income tax returns. 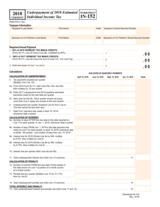 In Vermont, this form is filed by individuals who were unable to pay or paid an incorrect sum on their estimated taxes for the past year. Vermont Form IN-152 allows individuals to calculate any unpaid interest or penalties that are due. In Vermont, business owners and individuals are able to claim certain credits on their state income tax filings. Business owners and individuals in Vermont can claim such credits on Schedule IN-119 or on Schedule IN-112. In Vermont, this form is filed by individuals who wish to declare all the income generated by their household.  Vermont Schedule HI-144 must be filed as an attachment to Form PR-141 or Form HS-122 unless one is filing an amended version of Schedule HI-144. 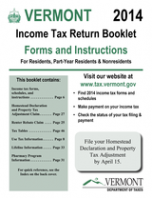 The Vermont tax booklet is a guide for state residents on how to file their state income taxes. The guide features step-by-step instructions on how to file by mail or e-file your state taxes. 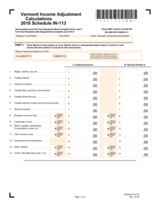 In addition, the booklet features information on every type of state tax form as well as areas where filers commonly make mistake. You can use VT Tax Booklet to amend your tax returns as well. Please note:The 2015 Income Tax Return Booklet is no longer available online. 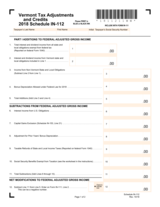 Many parts of the booklet, such as due dates and contact information, are in the instructions for Form IN-111. Here are the mailing addresses available for Vermont. Please note that some specific forms might have a different addresses. Please check the Form's instructions before using any addresses listed here.